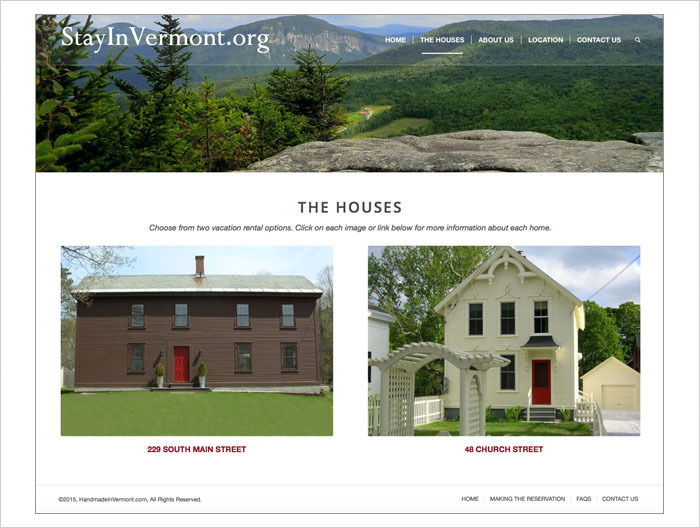 StayInVermont.org has two vacation homes available for rent year round in the town of Wallingford, Vermont. The homes are walking distance to swimming, restaurants and hiking trails. 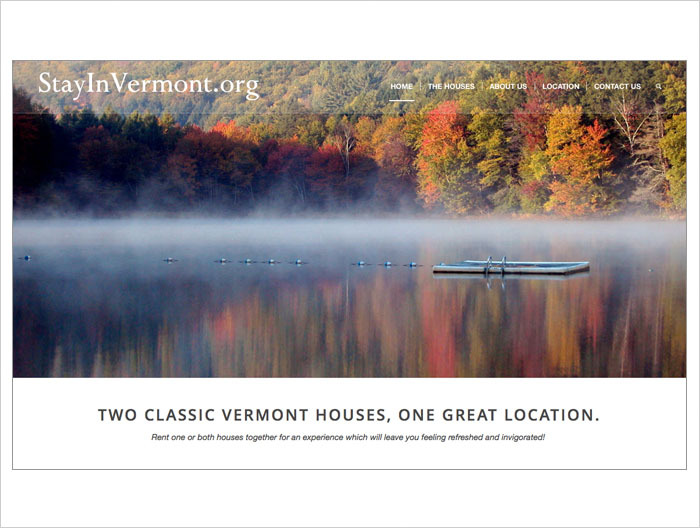 The site needed to capture the natural beauty of Vermont as well as all the amenities. Besides the overall design and programming, Padraic created the type logo to be used on the header imagery.